Stampin' Up! 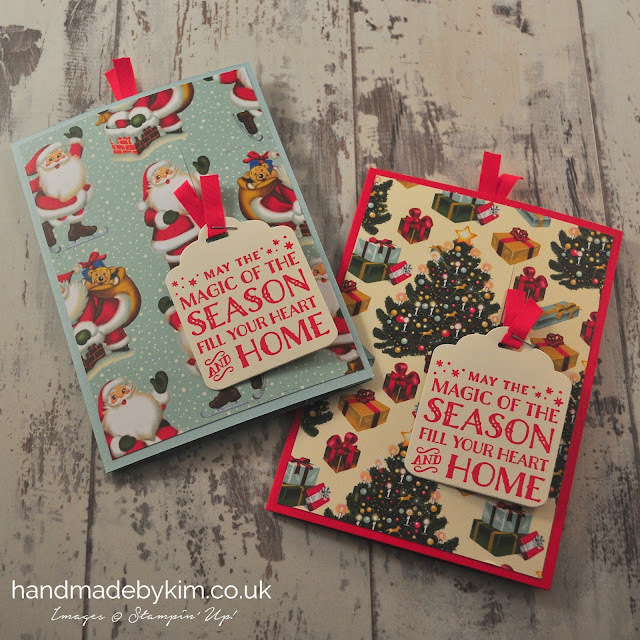 Demonstrator Kim Price - Handmade by Kim: Slider Christmas Cards featuring the Home for Christmas DSP & Cozy Christmas stamp set by Stampin' Up! Slider Christmas Cards featuring the Home for Christmas DSP & Cozy Christmas stamp set by Stampin' Up! 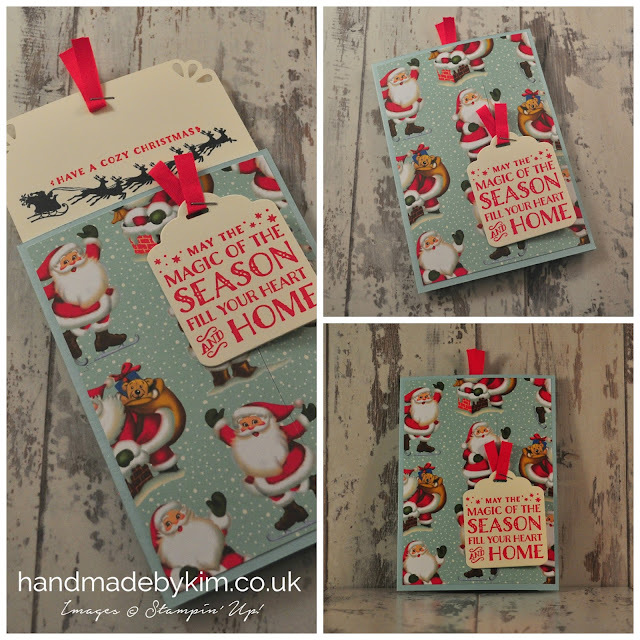 Today's project are two slider cards made using the Home for Christmas DSP & Cozy Christmas stamp set. The card doesn't opening like a traditional card, instead you pull the ribbon at the top and your card slides out! To make the card I went back and re-watched a video by Dawn from Dawn's Stamping thoughts - click here to watch the tutorial. 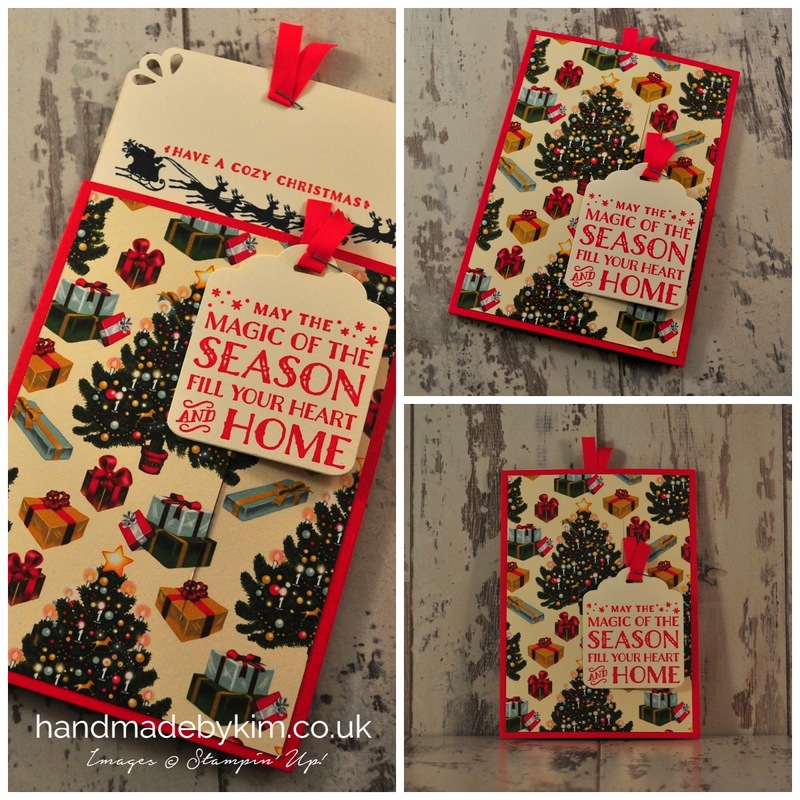 I've made 2 versions, this one features the Christmas Tree pattern from the Home for Christmas DSP and Real Red cardstock. 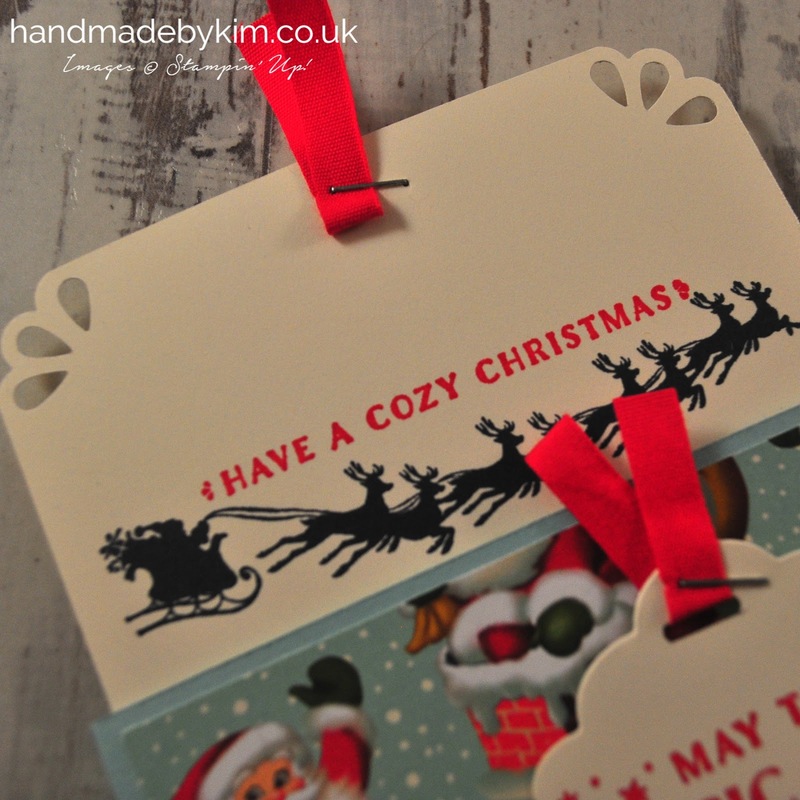 For this version I have used Pool Party cardstock and the Santa patterned paper. Isn't it really cute? I know exactly who I will be sending this one to. I've still not had much time in the craft room but I have a few more Christmas projects ready to show you in the next week or two! Enjoy the rest of your weekend. Bye for now!